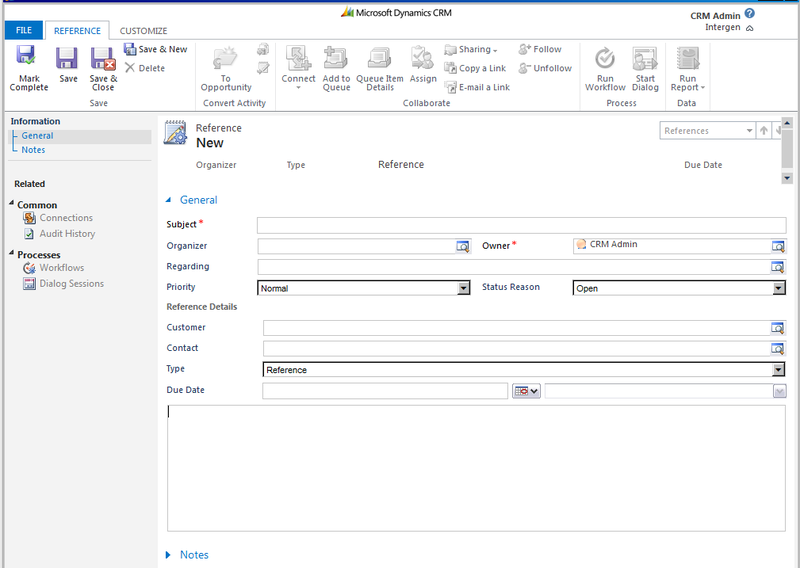 How can I import Marketing List Members into Dynamics CRM? Problem: I utilise an external Data Warehouse to identify marketing list members for a mail out, how can I load these into CRM to utilise the campaign functionality? Initially when posed with this question, I thought development as you can not use the standard import tool to do this, but when stood back and looked at Marketing Lists, I realised there was a simple solution. The solution hinges around the fact that Manage Members utilises advanced find to perform a search to identify members, so we just need to be able to have something to search on, without needing to update the existing record. Create a relationship (lookup) to Contact, Account and Lead if you are creating marketing lists for all 3 types. In the name column enter a unique name for the external list records that the import will create. In the marketing list column enter the name of the marketing list created in step 6. Import this file into CRM into the new entity “External List”, mapping the new relationships created in step 1 and 2 to the appropriate column in the csv file. I.e. Map the unique attribute for the CRM record to the Account, Contact or Lead for which it refers to. Now open the marketing list created in step 6 and use Manage members to perform a search on all Contacts, Accounts or leads (depending on what you are referencing) where an External List record is associated to them that is related to the Marketing list you created in step 6. Add the found members to the List. The second option is similar to above but you instead of creating a new entity you use Connections and import a new connection linked to the marketing list and use this to perform an advanced find on. The only downside of this approach is that can muddy the water if you use connections for other purposes. I hope this solves a common dilemma. If you like me then you want to maximise the screen real estate, to reduce screen scrolling and to present all the pertinent information in a single location. In the Polaris user interface you may have noticed that the social pane takes up quite a lot of space, but when you try and change the properties in the form designer you can not. 5. Now this is the trial and error stage of the process as you have one attempt before the area becomes locked down again and you have to start from step 1 again! Click on change properties of the notes area, select hide label, and then change the number of columns and rows to be used. I would recommend using 1 column and around 8 to 10 rows. 7. Now preview the form and you will notice that the notes area is in the fact the social pane component. 8. You will also notice that you can no longer change the properties of the notes area, so if you want to increase or change the properties you will have to start again from step 1, frustrating but simple enough to do. That is it, a hidden gem, and hopefully a great tip to saving that precious real estate.